If an adult in your life has cancer, you probably want to learn more about it. This page has information about orbital cancer, the different types that exist and what to expect. First, you should understand what orbital tumors and cancer are. Cancer is a disease caused by abnormal cells that grow too rapidly. Our bodies are made of cells so tiny you need a microscope to see them. Cancer cells don’t look or act like normal cells, and they don’t allow our normal cells to work properly. There are many different types of cancer that can grow anywhere in the body. The orbit is the part of the face that houses the eye. There are two types of tumors that impact the eye: ocular and orbital. Ocular tumors are tumors of the eye itself. These are very rare tumors and are usually diagnosed by an ophthalmologist or oculoplastic surgeon (eye specialist). Orbital tumors, the topic of this section, involve the eye socket (everything in the eye socket except the eyeball itself). Orbital cancers are really quite rare. Remember, not every unusual symptom is cancer, but it is a good idea to ask a doctor when there is any question. The earlier cancer is found, the better the outcome can be. 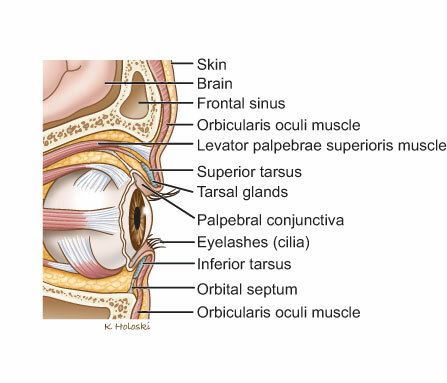 To understand orbital cancer, you need a basic understanding of the anatomy (the different parts) of your eye. 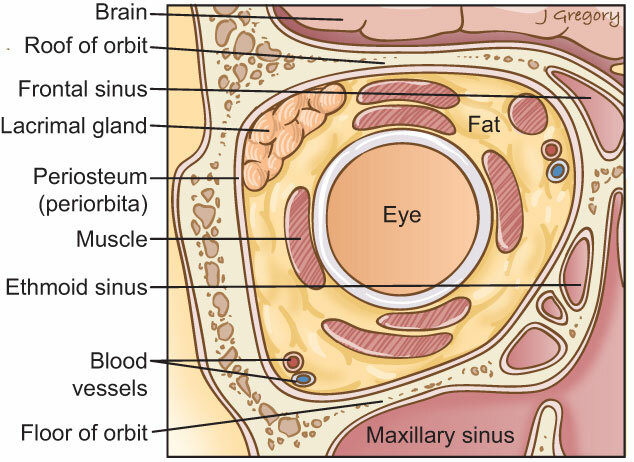 The orbit is the bony eye socket. It includes the bones, the lacrimal (tearing) system, muscles, nerves, lymphatics, blood vessels and even the eyelids (parts of which attach to the bones of the orbit). The eye sits within the orbit, but this article covers tumors of the orbit, not the eye itself. The orbit is made up of seven bones as shown below. The brain is located just above and behind the orbit. 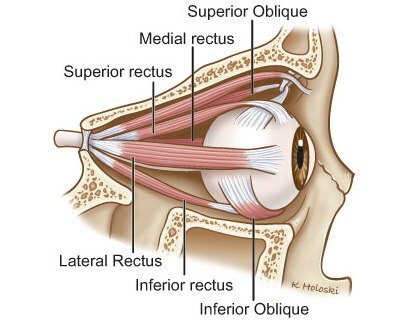 Extraocular muscles: There are six muscles that move the eyeball around. Each one is responsible for a slightly different direction of eyeball movement. Eyelid: The eyelid is an interesting structure made up of skin, muscle, fibrous bands, a thin layer of conjunctiva and eyelashes. Because so many organs are in the eyelid, many different types of cancer can start here. Everything else: The orbit is also filled with fat, blood vessels, lymphatics and nerves. In addition, the bones are lined with periosteum (also called the periorbita), which is a fibrous wall that encloses all the fat and orbital parts. The eye itself sits within the orbit. Because of the variety of tissues and cell types within the orbit, cancers such as sarcomas (soft tissue cancers) and lymphomas (blood cancers), as well as benign tumors such as neurofibromas (nerve tumor) and hemangiomas (buildup of blood vessels), can all be found in the orbit. You may want to know what causes orbital cancer. The short answer is that we don’t know. You can be sure that you did nothing to cause it. Also, it is not contagious (you can’t catch it). In most cases, it’s a combination of genetics and the environment. Radiation exposure may be a risk factor for orbital cancers. While radiation can treat certain orbital tumors, radiation exposure may also be linked with causing lacrimal gland cancers and some sarcomas. When cancers in this area get larger, the symptoms depend on which nearby structures are involved. These symptoms sound scary, but don’t jump to conclusions. Your loved one could have one or more symptoms and NOT have an orbital tumor. There are many non-cancerous causes of the same symptoms. That’s why the person needs to see a specialist. First, the doctor will listen to the patient talk about his or her health. The doctor will probably ask many questions, too. Is it getting worse, better or staying the same? Have you tried anything to make it better? Do you have numbness or tingling anywhere in your face or mouth? Do you have any lumps or bumps in your neck? What medications do you take? And do you have any allergies? Have you ever been exposed to radiation in the head and neck? What do you (or did you) do for a living? Next, the doctor, typically a specialist in head and neck disorders, will examine the patient. The eye will be examined by an ophthalmologist. The orbit can be a little difficult to examine, and the doctors will rely heavily on imaging (scans). However, tests of eye movement, visual acuity and sensation will be part of the physical exam. After getting background information and doing the examinations, the doctors will look at the results of any tests the patient has already had. Finally, the doctors will make suggestions about next steps. This will probably include more tests and doctor visits. Getting to a diagnosis begins with a history and physical examination. If the symptoms haven’t been present for very long, or if the history and physical examination make the doctor less worried that it is cancer, the doctor might try some medications and rehabilitation before jumping to a diagnosis of cancer. At some point, if the doctor is not certain of a diagnosis, and if symptoms aren’t getting better (and definitely if symptoms are getting worse), the doctor will probably consider starting a cancer work-up. Like with most cancers in the head and neck, this will include some combination of biopsy (testing) and imaging tests, which refers to X-rays, MRIs, CT scans, etc. Imaging refers to radiologic studies, or scans, that create pictures of the structures inside the head and neck. In general, imaging might not be necessary for small tumors or symptoms that can be easily seen and physically evaluated by the doctor. For larger tumors, or tumors or symptoms in locations difficult to examine (including in the orbit), the doctor will probably order some sort of imaging to get more information about the tumor location and to see if the tumor has spread to nearby lymph nodes. An important reason to get a scan for orbital tumors is to see if there is any evidence of spread into nearby structures. Spread into other structures will influence what treatment the doctor recommends. There are many different kinds of imaging scans. The doctor may recommend more than one kind of scan to see a better picture of the tumor. The two main types of imaging used are CT scans and MRI scans. Advantages A computed tomography (CT) scan is a quick test that shows a great deal of useful information. A CT scan can show the size of the tumor and how far it has spread. It can help a surgeon plan an operation. Magnetic resonance imaging (MRI) is better at showing how the tumor has spread to body parts around it. The patient will not be exposed to radiation during an MRI. Disadvantages A CT scan uses radiation, which can be dangerous. The pictures might not be clear if the patient moves or has a lot of dental work. Also, a CT doesn’t show damage to nearby body parts as clearly unless the damage is moderate to severe. An MRI takes a lot longer than a CT scan. It requires the patient to lie perfectly still for almost an hour. 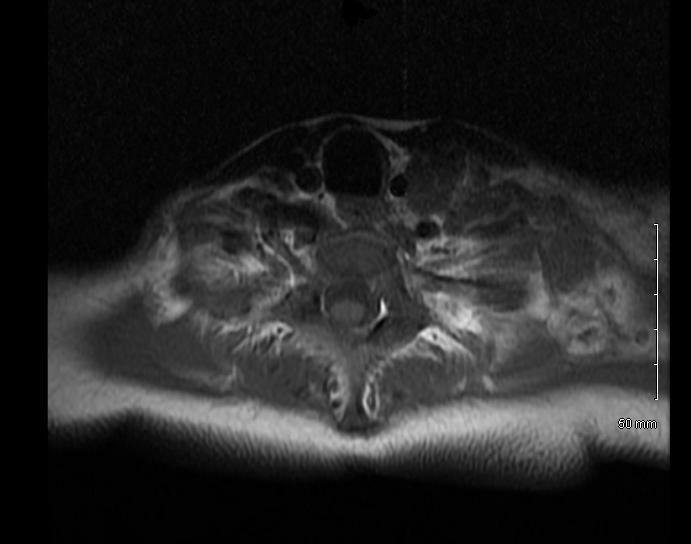 The patient can’t have an MRI if he or she has metal implants. For most head and neck cancers, if imaging is required, the doctor will likely start with a CT scan with contrast. Other tests might include an MRI and/or a positron emission tomography (PET) scan. A biopsy is the best way to find out if a growth is cancer. For a biopsy, the doctor takes out a small piece of the lump or the entire tumor. Another doctor, called a pathologist, then looks at the sample under a microscope to see if it is cancer. Doctors often do biopsies because they can usually be done quickly and safely. The doctor can sometimes do a biopsy during the first visit, and there is a very low chance of anything going wrong. Fortunately, many lesions can be biopsied in the office with a little numbing medicine. It usually takes just a few minutes to do the biopsy. In some cases, however, the doctor may want to do the biopsy in the operating room, especially if there is concern that the tumor has spread to the neck or beyond. A biopsy can help the doctor plan surgery if the decision is to take out the whole tumor. A biopsy can also prevent unnecessary surgery. As good as biopsies sound, there are a few problems. First, biopsies are not 100 percent accurate. A biopsy could show that a growth is NOT cancer when it really is; this is called a false-negative biopsy. A false-positive is also possible when the biopsy seems to show that a growth is cancer but more testing shows it isn’t. Sometimes doctors can’t be completely sure a tumor is cancerous from a biopsy.7 Douglas JG, Laramore GE, Austin-Seymour M, et al. Treatment of locally advanced adenoid cystic carcinoma of the head and neck with neutron radiotherapy. Int J Radiat Oncol Biol Phys. 2000;46:551-557. Only after a pathologist analyzes some cells or actual pieces of tissue from the lesion will the doctor be able to tell if it is cancer. The doctor may also want a second opinion from a specialist to be sure. Because of the anatomy of the orbit, it is possible to have many different types of tumors in the orbit. Most growths are benign (noncancerous), but some are malignant (cancerous). Also, some benign tumors can behave aggressively and cause destruction as they grow, so they are often treated as though they are cancer. Most cancers of the orbit are actually from sinonasal cancers growing into the orbit. 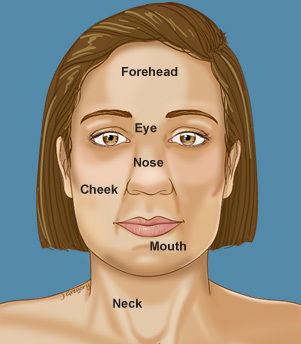 See the Nose and Sinus Cancers section to learn more about those tumors. The doctor will decide on the treatment for the cancer based on the category (type), grade (abnormality) and stage (severity) of the tumor. Differentiation refers to how closely the cells taken from a tumor or lesion resemble normal cells from the healthy tissue surrounding the tumor. “Well differentiated” means that the cells look similar to normal cells in that area. “Undifferentiated” means the cells look nothing like normal cells in that area. While it is important to report the tumor’s grade, few doctors use this information to make decisions regarding treatment or prognosis for this particular cancer type. The final step before treatment is identifying the stage or the extent of the cancer. This will be determined by the physical exam, imaging studies, laboratory work and biopsies. As with all cancers of the head and neck, doctors in the U.S. use the AJCC Cancer Staging Manual (7th Ed) to figure out the stage based on three factors. The T stage is based on the tumor characteristics and is determined by physical exam and imaging. Tx The main tumor cannot be evaluated. T0 There is no evidence of a main tumor. T1 The tumor is 2 centimeters or less, whether or not it has extended into the orbital soft tissue outside of the gland. T2 The size of the tumor is between 2 and 4 centimeters. T3 The tumor is more than 4 centimeters at its largest size. T4a The tumor has invaded into the layer of tissue covering the bone (periosteum). T4b The tumor invades into the bones of the orbit. T4c The tumor has invaded structures nearby such as the brain, sinus, pterygoid fossa or temporal fossa. Next, the doctor will use all the available information to figure out the N stage. This is based on whether the cancer has spread to lymph nodes in the neck. Lymph nodes store and move fluid to and from other parts of the body. Lymph nodes are all over the body. They can spread cancer cells to other places if the cancer gets into the lymphatic system. Nx The neck lymph nodes cannot be assessed. N0 There is no evidence of any spread to the lymph nodes. N1 There is spread to lymph nodes in the region. Finally, the doctor will identify an M stage. The M stage is based on an examination of the entire body. M0 No evidence of distant (outside the head and neck) spread. M1 There is evidence of spread outside of the head and neck (i.e., in the lungs, bone, brain, etc.). After TNM staging, the doctor can assign a cancer stage based on the following chart. Note: “Tis” refers to carcinoma in situ. This means that the cancer has not yet invaded deeply into the layers of tissue. It is difficult to get a consensus on treatment is because these cancers are very rare, so it is difficult to gather enough patients to compare different treatments, and many orbital tumors do not have a clear staging system. However, data is increasing, and doctors are continually learning what the best treatment options are. Orbital lymphoma: Surgery can be helpful in making the diagnosis of lymphoma, but it does not play a major role in treating it. Studies have found success using radiotherapy alone.1, Smitt, MC, Donaldson SS. Radiotherapy is successful treatment for orbital lymphoma. International Journal of Radiation Oncology*Biology*Physics. 1993;26(1):59-66.2 Bolek TW, Moyses HM, Marcus Jr RB, Gorden III L, Maiese RL, Almasri NM, Mendenhall NP. Radiotherapy in the management of orbital lymphoma. International Journal of Radiation Oncology*Biology*Physics. Volume 44, Issue 1, 1 April 1999;31-36. Of course, successful treatment using just a single mode of therapy depends on the type of lymphoma and the stage. Additional treatment might be required in some cases. Metastatic orbital tumors: When tumors from other parts of the body have spread to the orbit (a rare occurrence), there are currently no effective long-term treatment options. However, modern treatments are continually improving to make patients comfortable. Minimizing pain and other symptoms as long as possible are the main goals in such cases.3 Goldberg RA, Rootman J. Clinical characteristics of metastatic orbital tumors. Ophthalmology. 1990 May;97(5):620-4. Rhabdomyosarcoma: This is the most common orbital tumor in children. Most patients with rhabdomyosarcoma of the orbit are treated within trials at major cancer hospitals using a combination of chemotherapy and radiation. Surgical removal may be indicated if there is tumor remaining after the initial treatment. Surgery: This is the generally accepted first line treatment for lacrimal gland and lacrimal apparatus cancers whenever possible. The cancer should be completely removed, and this may involve removal of the eye (orbital exenteration).4 Skinner HD, Garden AS, Rosenthal DI, Ang KK, Morrison WH, Esmaeli B, Pinnix CC, Frank SJ. Outcomes of Malignant Tumors of the Lacrimal Apparatus: The University of Texas MD Anderson Cancer Center Experience. Cancer. 2011;117(12):2801-2810. Radiation: Some treatment centers might use external beam radiation as an initial treatment, but in most cases radiation will be used after surgical removal.5 Wright J, Rose G, Garner A. 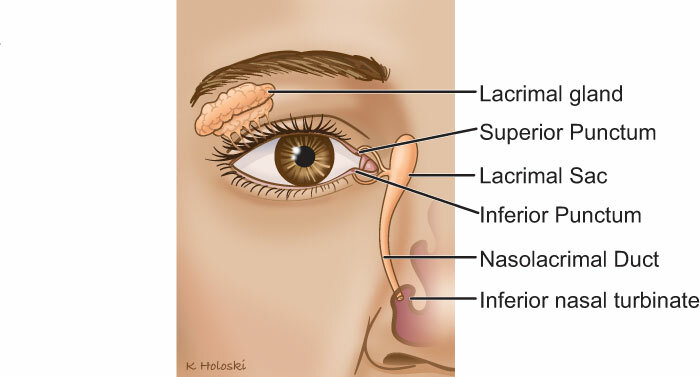 Primary malignant neoplasms of the lacrimal gland. Br J Ophthalmology. 1992;76:401-407. Other radiation treatment methods such as neutron beam, gamma knife radiosurgery and brachytherapy have also been described.6, Kim M, Park K, Kim JH, Kim Y, Lee J. Gamma knife radiosurgery for orbital tumors. Clin Neurol Neurosurg. 2008;110:1003-1007.7, Douglas JG, Laramore GE, Austin-Seymour M, et al. 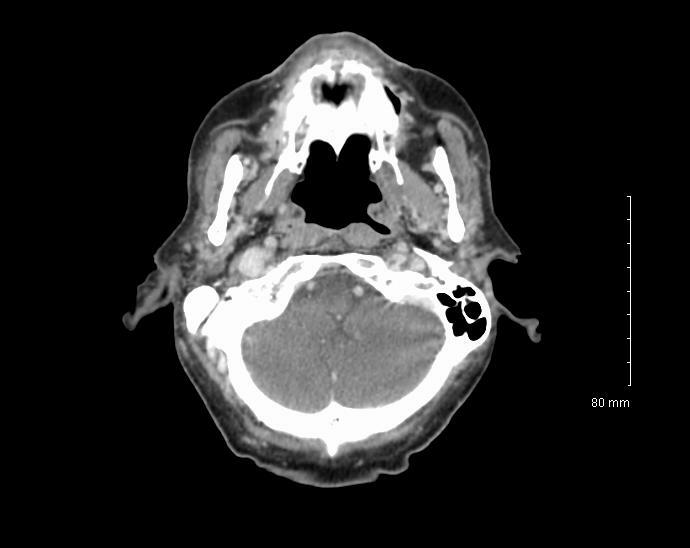 Treatment of locally advanced adenoid cystic carcinoma of the head and neck with neutron radiotherapy. Int J Radiat Oncol Biol Phys. 2000;46:551-557.8 Finger PT. Radiation Therapy for Orbital Tumors: Concepts, Current Use, and Ophthalmic Radiation Side Effects, Survey of Ophthalmology. Volume 54, Issue 5, September–October 2009;545-568. Chemotherapy: Because the prognosis for lacrimal cancer has room for improvement, some treatment centers might consider chemotherapy.9, Meel R, Pushker N, Bakhshi S. Adjuvant chemotherapy in lacrimal gland adenoid cystic carcinoma. Pediatr Blood Cancer. 2009;53:1163-1164.10 Meldrum ML, Tse DT, Benedetto P. Neoadjuvant intracarotid chemotherapy for treatment of advanced adenocystic carcinoma of the lacrimal gland. Arch Ophthalmol. 1998;116:315-321. If considered, it should typically be with radiation and surgery in select cases. The prognosis is a prediction of how the treatment will turn out. How likely is it that a person with cancer will be cured? Will the cancer come back? How will life change? These are the big questions on most people’s minds when they find out someone they care about has orbital cancer. It is very difficult to discuss prognosis without understanding all the details of the person’s particular case. To give a percentage chance of a cure is difficult because cancer research looks at all types of cancers and may include patients from long ago. There is relatively little data about these rare orbital cancers. However, a few studies give doctors an idea of what to expect. The patient should discuss these expectations with the care team. When the patient has made it through treatment, he or she will need to follow up closely with the doctor. Follow-up doctor visits and testing are to make sure the cancer doesn’t come back or to catch it quickly if it does. In general, the person who has completed treatment should have regularly scheduled doctor’s visits every one to three months for the first year, every two to six months in the second year and every four to eight months in the third to fifth year. After making it past the first five years, your loved one can then see the doctor once a year. 1 Smitt, MC, Donaldson SS. Radiotherapy is successful treatment for orbital lymphoma. International Journal of Radiation Oncology*Biology*Physics. 1993;26(1):59-66. 2 Bolek TW, Moyses HM, Marcus Jr RB, Gorden III L, Maiese RL, Almasri NM, Mendenhall NP. Radiotherapy in the management of orbital lymphoma. International Journal of Radiation Oncology*Biology*Physics. Volume 44, Issue 1, 1 April 1999;31-36. 3 Goldberg RA, Rootman J. Clinical characteristics of metastatic orbital tumors. Ophthalmology. 1990 May;97(5):620-4. 4 Skinner HD, Garden AS, Rosenthal DI, Ang KK, Morrison WH, Esmaeli B, Pinnix CC, Frank SJ. Outcomes of Malignant Tumors of the Lacrimal Apparatus: The University of Texas MD Anderson Cancer Center Experience. Cancer. 2011;117(12):2801-2810. 5 Wright J, Rose G, Garner A. Primary malignant neoplasms of the lacrimal gland. Br J Ophthalmology. 1992;76:401-407. 6 Kim M, Park K, Kim JH, Kim Y, Lee J. Gamma knife radiosurgery for orbital tumors. Clin Neurol Neurosurg. 2008;110:1003-1007. 7 Douglas JG, Laramore GE, Austin-Seymour M, et al. Treatment of locally advanced adenoid cystic carcinoma of the head and neck with neutron radiotherapy. Int J Radiat Oncol Biol Phys. 2000;46:551-557. 8 Finger PT. Radiation Therapy for Orbital Tumors: Concepts, Current Use, and Ophthalmic Radiation Side Effects, Survey of Ophthalmology. Volume 54, Issue 5, September–October 2009;545-568. 9 Meel R, Pushker N, Bakhshi S. Adjuvant chemotherapy in lacrimal gland adenoid cystic carcinoma. Pediatr Blood Cancer. 2009;53:1163-1164. 10 Meldrum ML, Tse DT, Benedetto P. Neoadjuvant intracarotid chemotherapy for treatment of advanced adenocystic carcinoma of the lacrimal gland. Arch Ophthalmol. 1998;116:315-321.